Do you have a love for high-end sneakers and PlayStation but have never been able to combine the two? Well, you’re in luck. That’s all about to change. NBA star Paul George has paired with Nike to make a pair of sneakers, and the inspiration may come from a rather unconventional place. 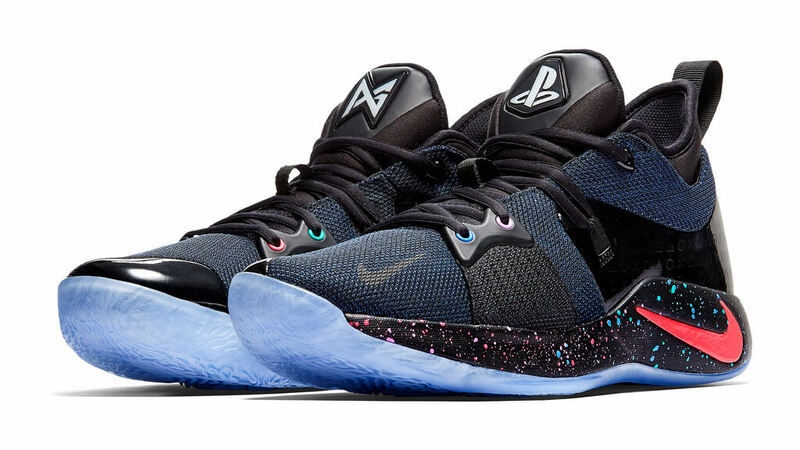 The shoes – dubbed the Nike PG-2 PlayStation Colorway – are heavily influenced by the Dualshock controller, with a crisp PlayStation logo decorating the tongue of one of the shoes and the liner as well. The top of the foot is covered with a delicate blue mesh, and the heel and lower portions of the sneaker are just as stunning. A plain black finish is accented by colorful dots sprayed along the length of the shoe. They are a limited design, priced at roughly $110 at Nike, with a launch date of February 10. If you want to be the envy of all your friends and show your undying love for everything PlayStation, you’ll need to mark your calendar and strike while the iron’s hot. When I was 8 or 9, I used to amaze my uncle and all his friends by consistently beating them in all the sports games we’d play. And if I saw something cool while I was playing, I’d go outside and try it out on the court or the field. So in a way, sports and video games were always feeding off one another to me.This collaboration has been a long time coming. Ask me what my favorite PlayStation memory is and I’ll tell you it’s when my dad got me a PS2 for Christmas. I’d been dropping hints left and right because I knew that was it. That was the next big thing. You could say the same with Nike. It’s clear the player has a lifelong relationship with the gaming juggernaut and felt empowered to spread the love as he walks. For more on the shoes and how to procure a pair, visit the official PlayStation blog on the announcement.